So then everyone is waiting for a certain Line 6 Helix update. Looks like it may well be dropping, but you are going to have to wait a little longer. 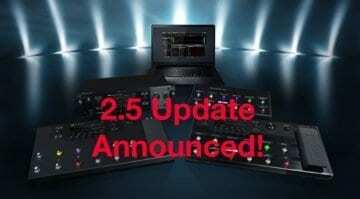 You know me, I love a good rumour and the biggest one at NAMM 2019 was possibly that fabled Line 6 Helix 2.8 update. The whole Helix community has been waiting (not so patiently) with bated breath for this one to drop. We were all hoping for a Winter NAMM announcement, sure we got the rather handy gig worthy, wireless system Line 6 Relay G10S. 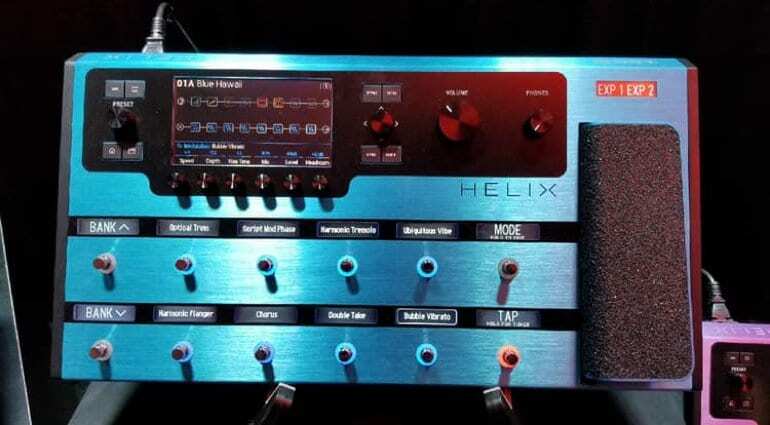 It certainly is a great piece of guitar kit, but not one what gets you as excited as the hyped announcement of new Helix products. But it looks like it could be March until we finally get that firmware upgrade. What I can say is we are going to get 7 new amps, 10 effects and the ability to exchange presets between devices. The Line 6 PowerCab will support XLR cables and possibly the best news of all. 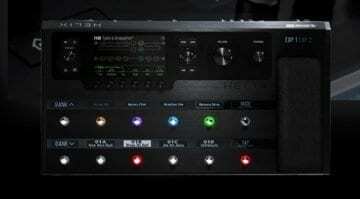 Plus, you can finally have some support for your Line 6 DT-25 and DT-50 amps! 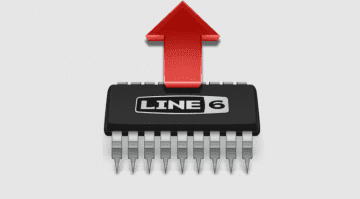 Oh, and finally now everyone, no matter which version of the Helix hardware they own, gets a cheap cross-grade to the Helix Native software, which has been ongoing for a while now anyway. Models should include the new – Fullerton Tweed, LaGrange Tweed, Revv Gen Clean, Revv Gen Gain1, Rev Gen Gain2 and an Ampeg SVT-4. You need to scroll to around the 26-minute mark of the video below to get some more info on the 2.8 firmware updates. 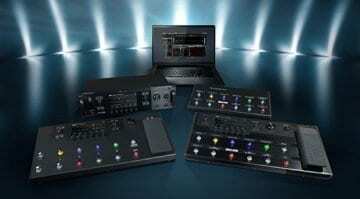 These include models Shelf EQ, Tilt EQ and also for a King Of Tone/ K.O.T. and the Zendrive! Then there is the matter of the limited-edition coloured Helix floor pedals models that showed up on the Line 6 Helix Facebook Group. But, I will let you all argue that one out. You need to scroll to the 26-minute mark to hear the Helix news. LE colors were for NAMM only. They were given away in a drawing if I’m not mistaken.